The solar lamp that Evelina polished today was probably the most modern lighting in the whole house. Solar lamps, so called because their “illumination was thought to be comparable to sunlight”**, had a “central draft Argand burner with a spiral wick raiser” and a deflector cap that drew more oxygen to the flame. These were fine points for table lamps that still used whale oil but would soon use Kerosene, and which had pretty well replaced candlesticks in the homes of most settled communities. Many solar lamps were made by Henry N. Hooper & Company of Boston. Hooper ran a foundry that made lighting fixtures and bells and, during the Civil War, also made artillery for the Union Army. As a young man, Hooper had begun his career working in a foundry for Paul Revere. What changes he saw! Although her “bad cough” presaged an oncoming cold, Evelina managed to accomplish many domestic tasks today. Perhaps the best part of the day, however, came after the choring, baking and mending. She finished reading Marcus Warland; or, The Long Moss Spring. Tale of the South. by Caroline Lee Hentz. 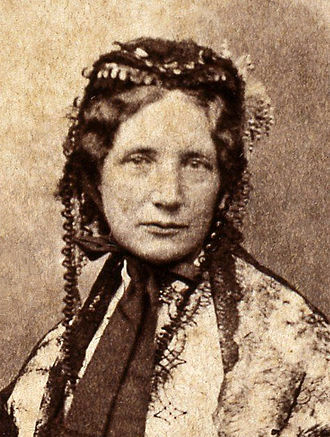 Caroline Lee Hentz was an immensely popular novelist, “well known and much esteemed.”* In the 1850s, the Boston Library listed her as one of the three top writers of the day. 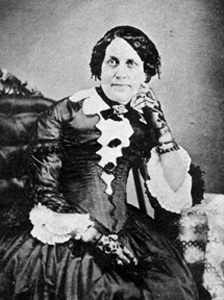 A major literary figure, now largely forgotten, Mrs. Hentz described herself as a “Northerner who traveled and worked throughout the South for nearly thirty years.”** Though born and raised in Lancaster, Massachusetts, only fifty-odd miles from North Easton, Caroline and her teacher husband spent married life in various Southern states, opening and closing schools as they went along. They lived in Chapel Hill, North Carolina; Covington, Kentucky (across the Ohio River from Cincinnati, where they met Harriet Beecher Stowe); Alabama; Georgia; and Florida. “We believe, if the domestic manners of the South were more generally and thoroughly known at the North, the prejudices that have been gradually building up a wall of separation between these two divisions of our land would yield to the irresistible force of conviction.”*** She believed not only that the institution of slavery was essential to the South’s livelihood, but that blacks were a lesser race who needed to be looked after. She was hardly alone in the latter belief. 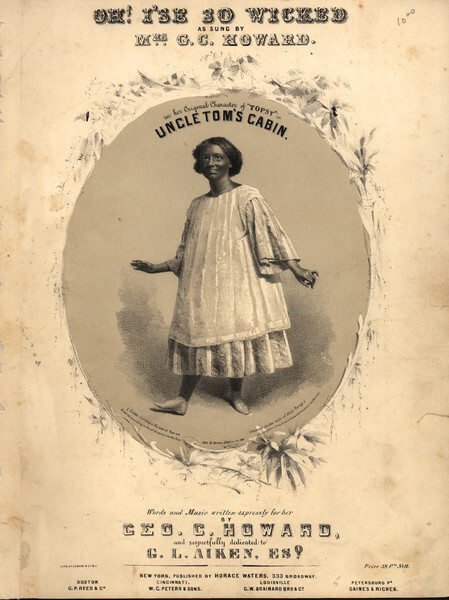 After Mrs. Stowe’s Uncle Tom’s Cabin was published to both huge acclaim and vehement dissent, Mrs. Hentz penned a rebuttal novel entitled The Planter’s Northern Bride. 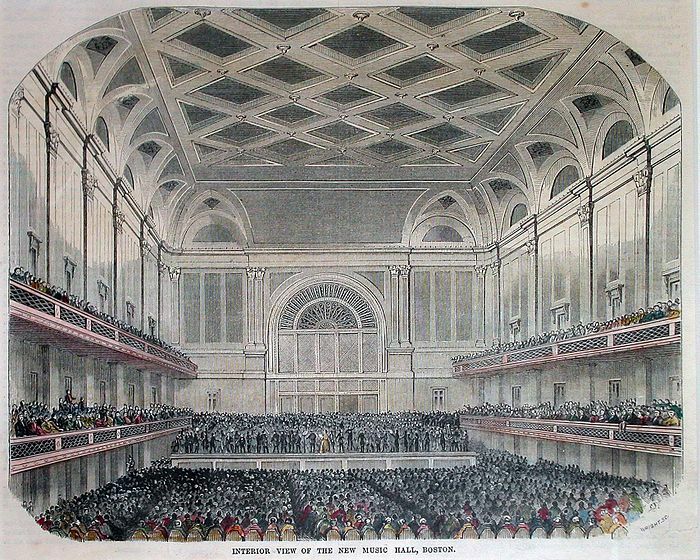 It came out in 1854 and found a wide audience. We can imagine that Evelina might have read it out of curiosity. But today, while Evelina reclined with Marcus Warland, her old father-in-law was dependably keeping his eye on the sky and his finger to the wind. The weather entry for today read “the 24 – 25 + 26 were fair cool days for the season + windy drying days wind north west + west most of the time.”**** This bode well for haying. * Anonymous, Southern Quarterly Review, circa 1851, quoted by Karen Tracey, Plots and Propsals, University of Illinois, 2000.